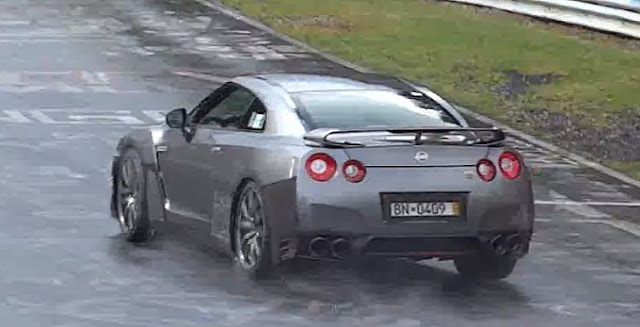 Auto Evolution posted a video and some pictures of the prototype 2014(US) Nissan GT-R at Nurburgring. In the video the ground is a little wet, but the car is still moving around the track well. There are a couple of spots on the front and rear bumper that wear camo, but nothing looks too drastically changed. Video after the break.